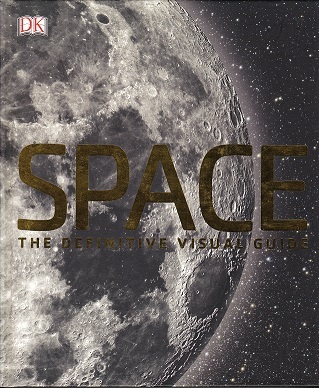 The book SPACE – The Definitive Visual Guide was published in August 2015. So it has current and up to date information. It has several contributors: Carole Stott, Robert Dinwiddie, David Hughes and Giles Sparrow. The book covers many topics from, ‘Launchpad Earth’, ‘Neighbouring Worlds’, ‘Beyond the Belt’, ‘A Galaxy of Stars’, ‘A Universe of Galaxies’, and ‘The Outer Limits’. Highly recommended for borrowing from the SAS library or adding to the home library. ‘Hundreds of incredible images take you on a spectacular tour through space, from Earth to the unknown limits of the Universe. Features the latest cutting-edge research and ideas about space, what’s out there, how it all began and where it may end. Unlock the secrets of space with clear, illustrated explanations of dark matter, black holes and other awe-inspiring phenomena. Discover how and why today’s scientists probe vast and distant realms and understand our planet’s place in the cosmos.